The old order changes. Frank and Edna Bailey pictured in 1972. 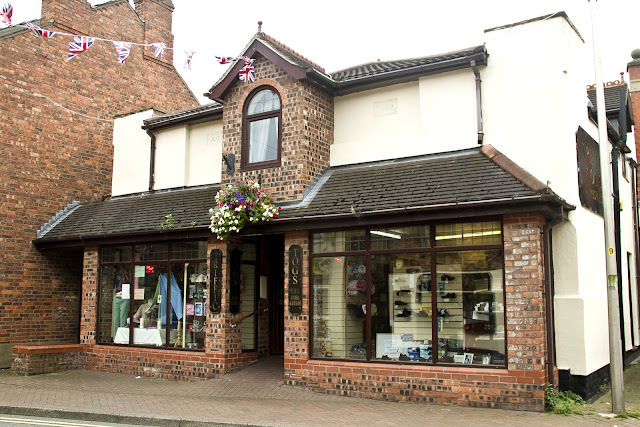 Frank was the last Chairman of the Middlewich Urban District Council and the town's first Mayor when the one time Royal Borough of Middlewich became a part of the District (later Borough) of Congleton in 1974. 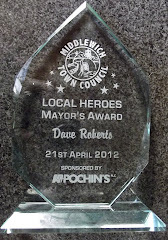 Middlewich Town Council still soldiers on but on the 1st of April 2009 Congleton Borough Council disappeared to be replaced by Cheshire East Council covering, as its name suggests, the Eastern half of the old Cheshire County Council area. Thus Frank bridges the gap between two eras of local government. 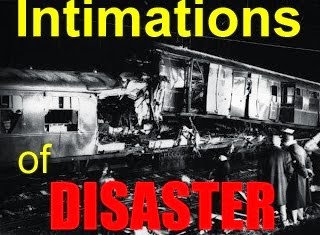 Should you be wondering why the slide depicting Frank and Edna is damaged, thereby hangs a tale. It may seem odd to people who are relatively new to this area that Middlewich, administratively speaking, is part of the Cheshire East Borough when its history and relationship with its near neighbours Northwich and Winsford would seem to indicate that its logical home would be in the Cheshire West & Chester area. 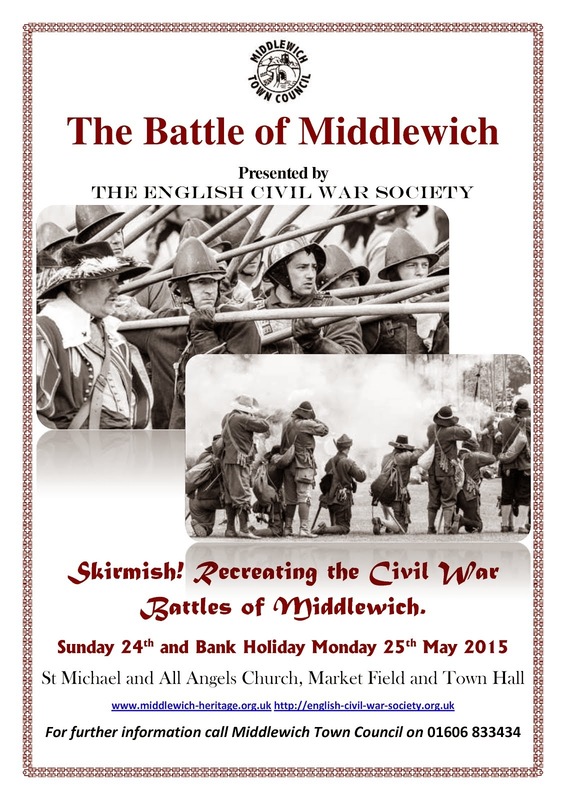 When it comes to local government Middlewich finds itself where it is because of decisions made in the early 1970s. 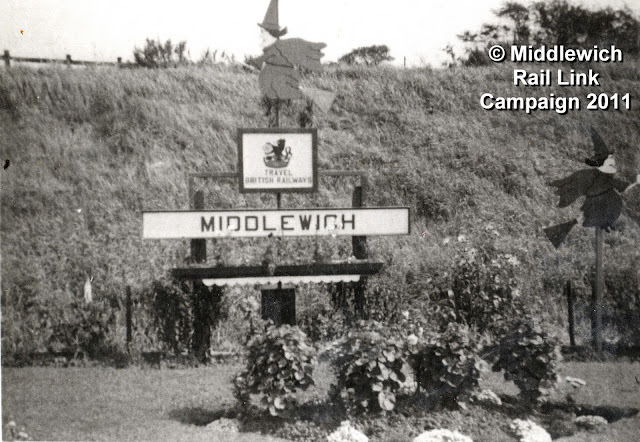 In April 1974 Middlewich became part of Congleton Borough. 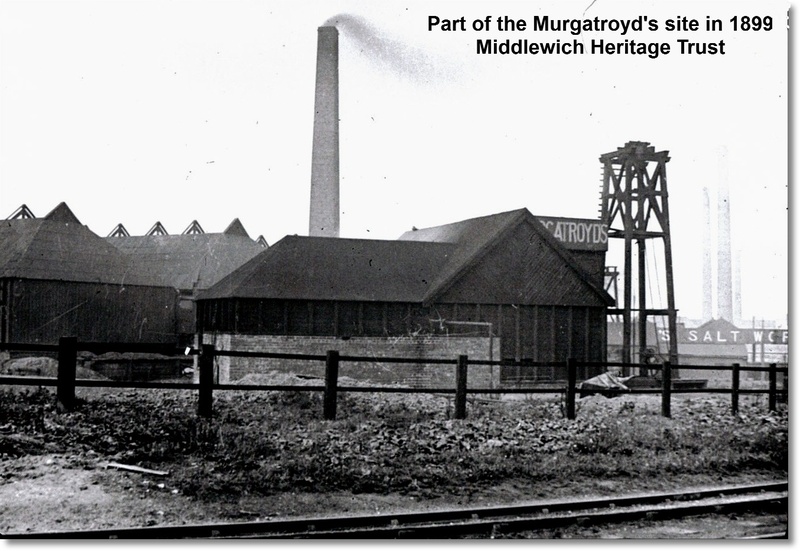 There had been talks about creating a new local authority for this area as far back as the 1930s when a ‘Mid-Cheshire Council’ was proposed, amalgamating Middlewich, Northwich and Winsford UDCs, but the traditional rivalry between the three towns and particularly between Middlewich and Winsford, based on historical factors concerning the salt industry, meant that nothing was done. In the nineteenth century Winsford was able to exploit its position on the River Weaver to develop its salt industry. 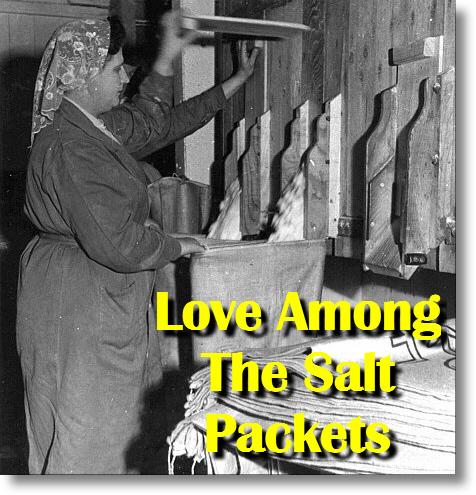 The salt could be sent straight down the river to the Mersey for export. 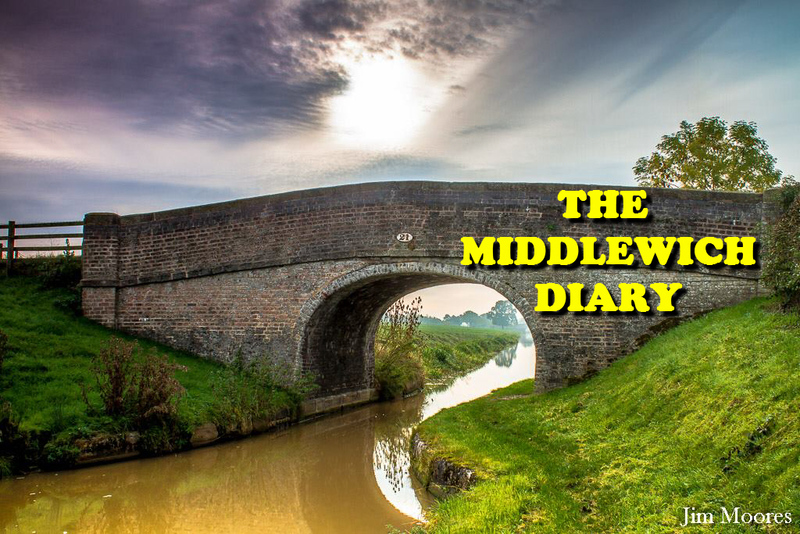 Middlewich, despite its pre-eminent position on the canal system, had no such advantage. Plans to bring barges straight into the town centre via the Anderton Lift and the Big Lock never came to anything. 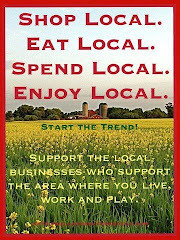 Nor did a plan to canalise the River Dane or another to build a canal eastwards from Middlewich towards Macclesfield. 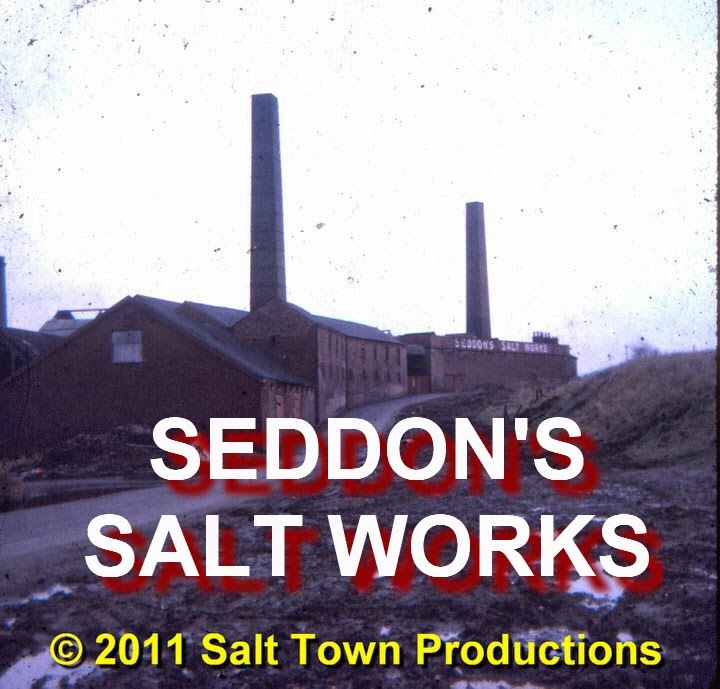 Winsford's salt industry boomed, and Middlewich's went into a decline. Ironically, though, we had the last laugh when British Salt was built here in 1969. Reform of the system was talked about incessantly during the sixties and early seventies, and several ideas were mooted for this area. 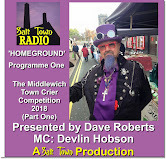 Middlewich could have found itself part of Stoke-On-Trent under one such idea; another was for us to be part of a ‘Super Council’ stretching from Sale in the north down to Stoke-on-Trent in the south. By 1974 the Government had decided to act. It was thought that councillors at UDC level did not have the experience and know-how to handle the ever more expensive and complicated business of running local authorities, and that the creation of larger ‘local government units’ was the best way to serve the public. Talks were held at all levels about the way forward. 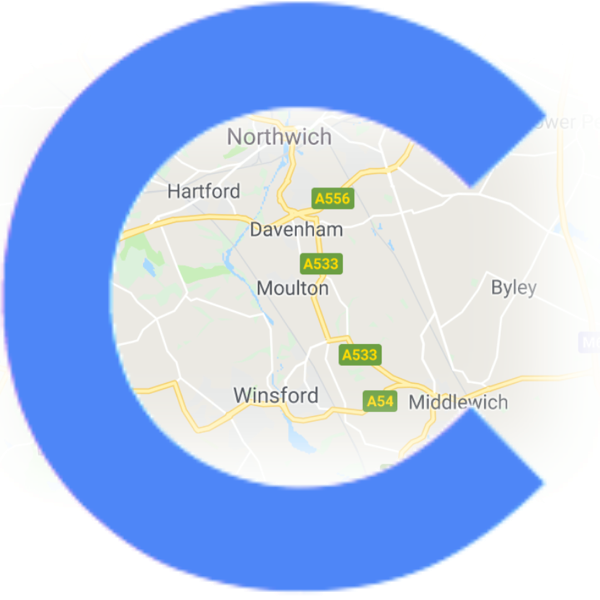 The ‘Mid-Cheshire Council’ idea was resurrected but discounted for the same, familiar reason with one Middlewich Councillor saying that he would never serve on a council which included Winsford. Eventually it was decided that a new council taking in Congleton, Alsager, and Sandbach and the rural areas between would be created. 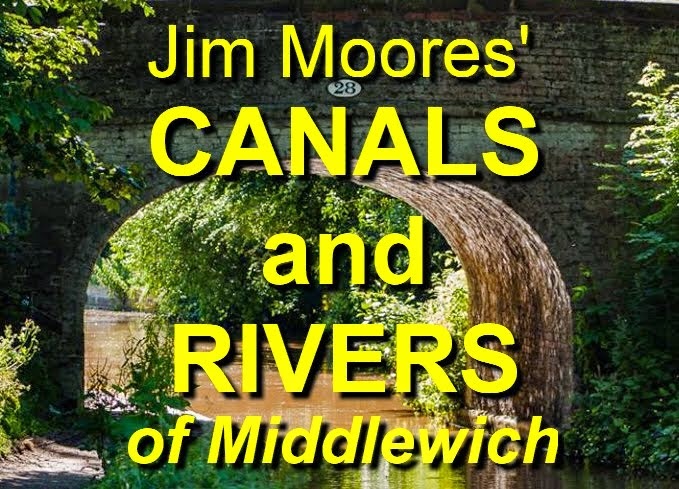 In the opinion of many Middlewich was eventually included simply to 'make up the numbers’ – a local authority has to have the requisite number of rate-payers after all. Simply, no one else wanted us. The new Vale Royal most certainly didn’t. In fact, if the truth were known, the new authority we ended up in probably didn’t either. When the news broke that we were to be part of this new authority we couldn't believe it. Our inclusion in the Congleton District, incidentally, led to Middlewich being on that little ‘peninsula’ of land, surrounded on three sides by another authority which looks so weird on the map. Actually this situation is by no means new. Up until 1974 we were 'surrounded' on that same little peninsula by the territory of the Northwich Rural District Council. Which explains why, for example, Wimboldsley and Sproston, though technically 'part' of Middlewich, have ex-council houses bearing the inscription 'NRDC'. 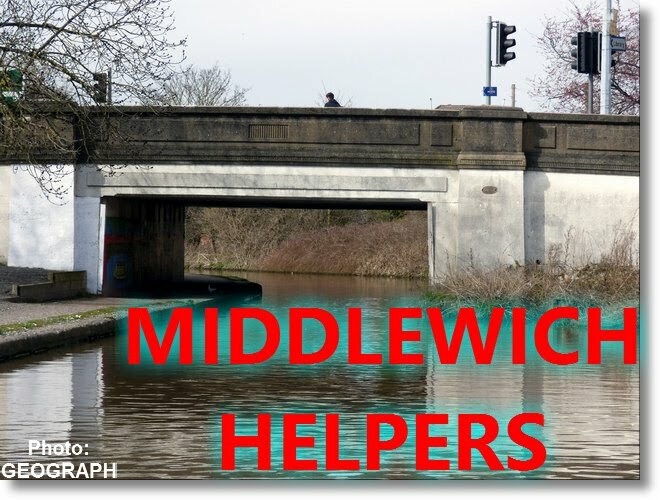 But, to paraphrase the immortal Goon Show, 'every town's gotta be somewhere', and Middlewich needed to be under the control of someone, somewhere. So, for no better reason that that, as far as can be ascertained, we found ourselves 'lumped in' with Congleton. Of course we were left wondering 'Why Congleton?' Wasn’t Congleton somewhere on the other side of the county, near Macclesfield? Whatever the ins and outs of this most unsatisfactory jiggery-pokery, eventually the steering group for the new council met to decide on a name for the new authority. No. In fact the committee decided that the name should be ‘Daneborough’, reflecting the fact that the River Dane runs through our area. Sleight of hand by officials at Congleton substituted the name ‘Congleton’ at the last minute, understandably giving people the idea that this was some kind of ‘takeover’ by Congleton. 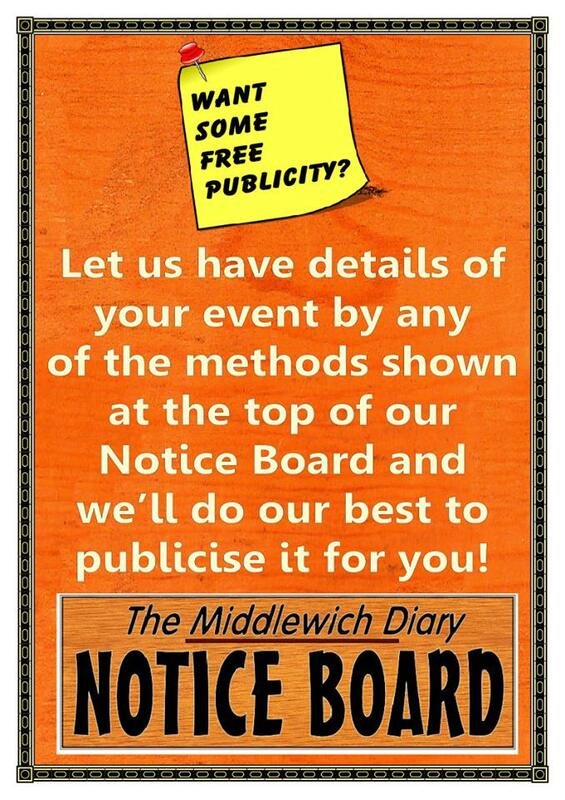 It was, as they say, ‘bad PR’ and Middlewich people resented the new Congleton authority right from the start. 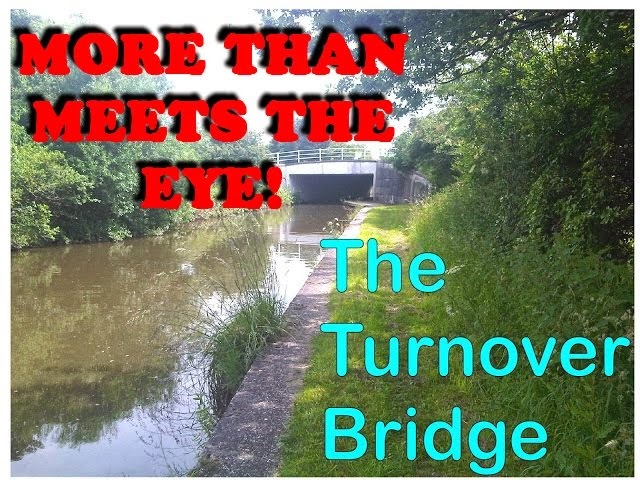 Incidentally I was working at Middlewich UDC just before the re-organisation and remember the Clerk to the Council, Ivan Glover, telling councillors that now was the time for them to introduce their own ‘pet schemes’ – swimming pools, leisure centres etc – and the new council would be duty bound to carry the work on. A golden opportunity for us to get that swimming pool we’ve always wanted. Heartbreakingly, and astonishingly, the council said that there was 'nothing that the town needed’. And from the start it was patently obvious that this form of local government would lead to unfairness. 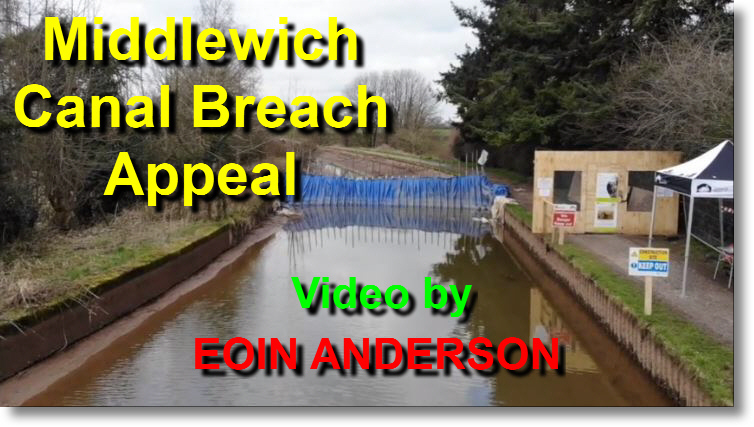 What chance would a few councillors from Middlewich have when ranged against those from Congleton and Sandbach (where the main offices were situated). We were all convinced that, just as we’d never heard of Congleton, they’d never heard of us. We always suspected that, if there was any money to be spent, it would be spent in Congleton, Sandbach, Alsager – anywhere but Middlewich. And I can’t help thinking we were right. 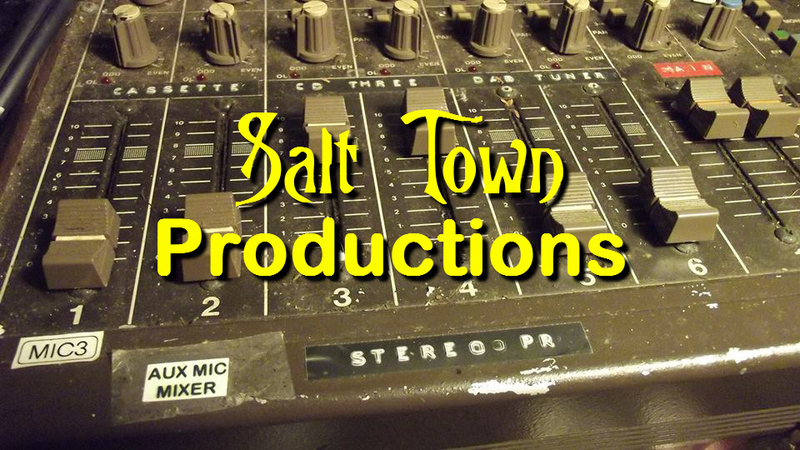 Certainly, as is apparent from the state of our town after the CBC years, they did very little for us. Congleton Borough Council was hated so much that it’s hard to believe that another authority could enjoy even less esteem. 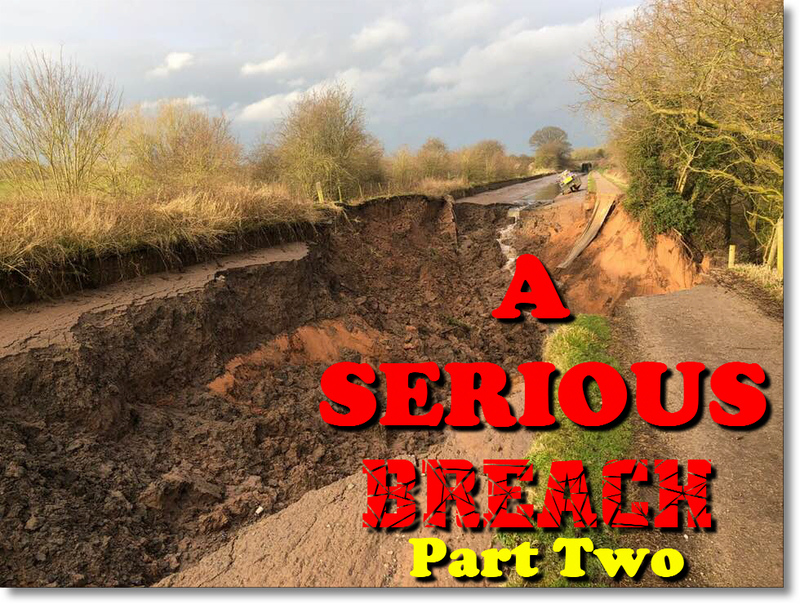 Cheshire East has managed it with ease. It's only existed for ten years* and already its name is a hissing and a byword. 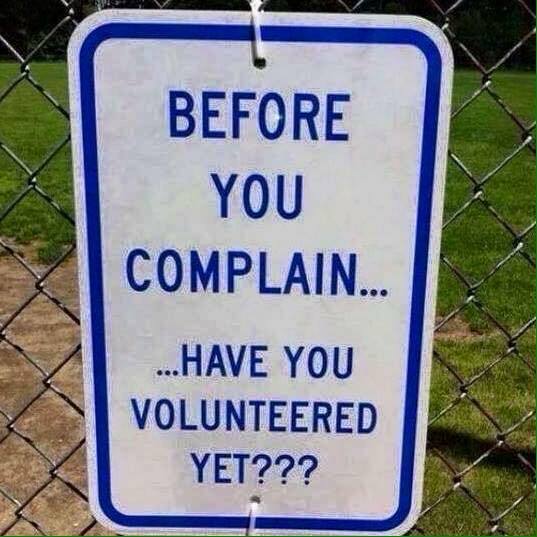 All the old complaints we heard about the CBC are made about Cheshire East, with a few thousand more thrown in for good measure. 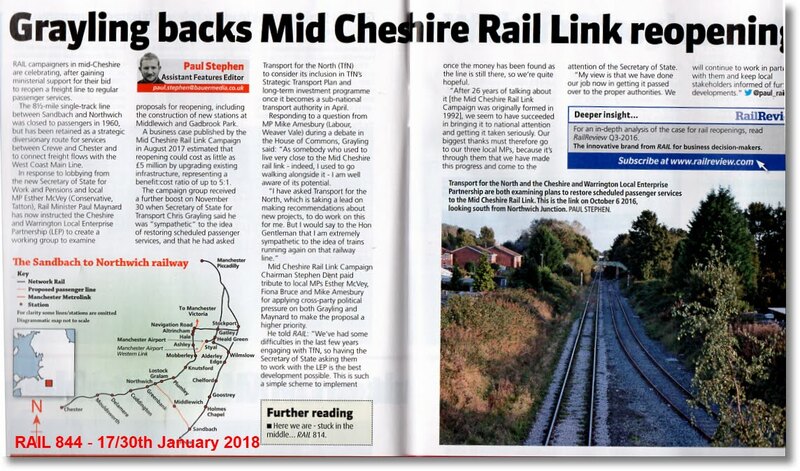 The authority is perceived as 'not caring' about Middlewich, and whether or not this perception is justified, Cheshire East doesn't seem very bothered about correcting it. And now, as power struggles between Macclesfield and Crewe rage, poor old Middlewich is even more isolated than it was before. *At the time this entry was updated on the 31st March 2019. First published 29th January 2013. Labels: 1974, CONGLETON BOROUGH COUNCIL, EDITORIALS, LOCAL GOVERNMENT IN MIDDLEWICH, MIDDLEWICH UDC, WHY CHESHIRE EAST? I'm sure most people won't object to a little self-indulgence today of all days. This picture first appeared on the Middlewich Diary on Mother's Day 2012 and has appeared every Mother's Day since. Dad, incidentally, made his first appearance here on Father's Day 2011. 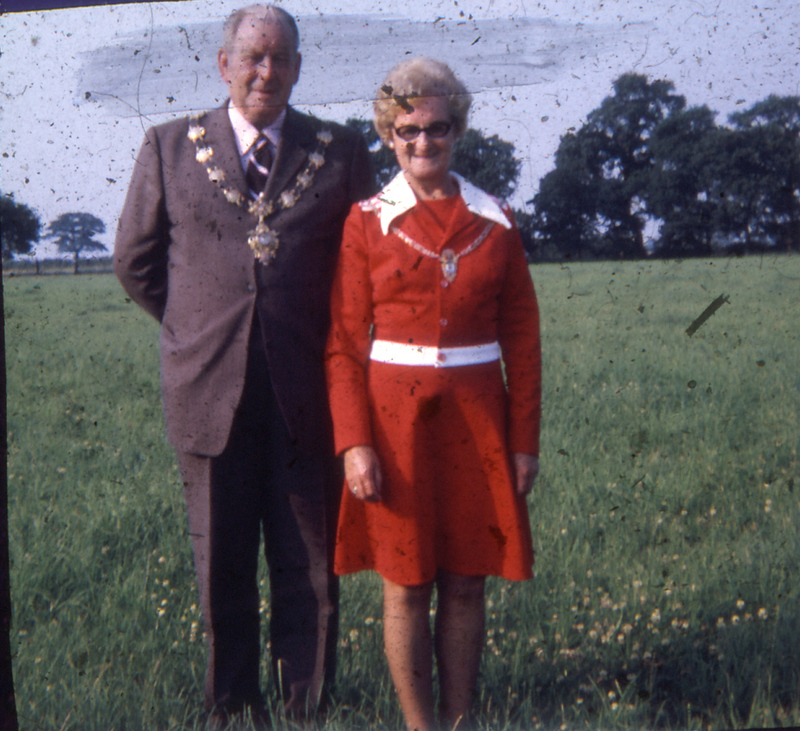 And Mum, like Dad, played her part in Middlewich history at the height of our salt town days. Mum was born in 1919 in neighbouring Moston and went to school in Elworth which she always said was 'a lovely place until Fodens ruined it'. Her Mother, our Grandma Hodgkinson, was at one time in service with the Foden family. 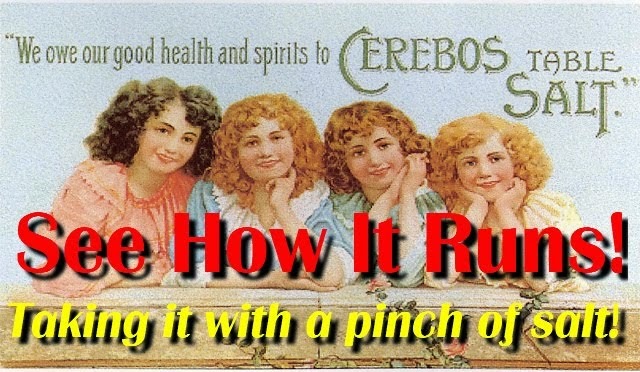 Mum lived all her adult life in Middlewich and, like so many young women in the town, worked at Cerebos. 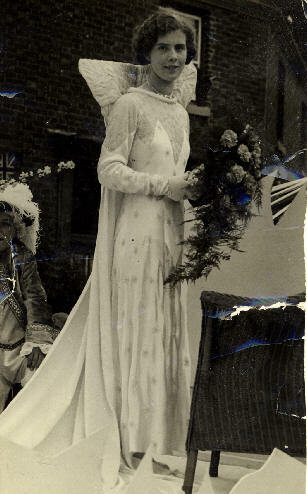 In 1936, when she was 17, she was crowned 'Salt Queen of Cheshire'* and our picture shows her wearing the beautiful dress which was specially made for the occasion and which, amazingly, still survives in the possession of the family. Mum passed away on Easter Sunday 2006. * That was the title we were always told Mum held all those years ago, although there do not seem to be any records of any 'Cheshire Salt Queen' event. 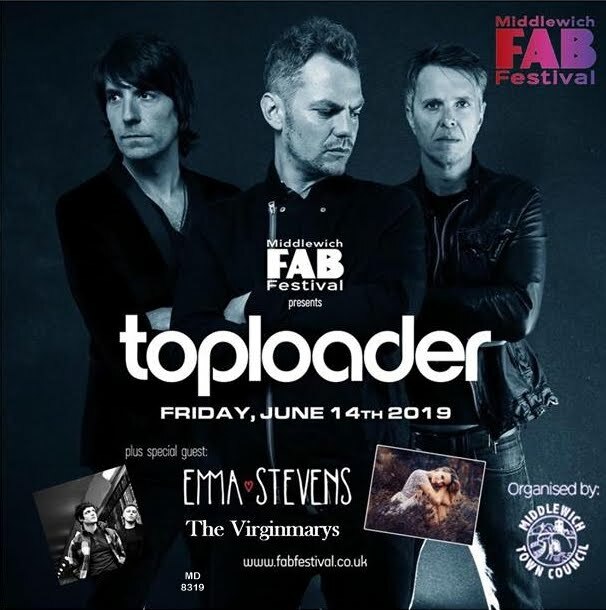 The 'Salt Queen of Middlewich' has proved equally elusive, although the local press has carried reports about a proposed revival of the 'Salt Queen of Winsford' title. Could that be the title that Mum held all those years ago?. Whatever the truth of the matter, and whatever her actual Regal title was all those years ago, Mum, like all Mums, was a true Queen. Mum passed away on Easter Sunday, April 16th 2006. THE ALHAMBRA - NINETY-NINE YEARS OF ENTERTAINMENT! This was going to be a simple little diary entry called 'Going to the pictures - 1960-style' based on the press cutting above. 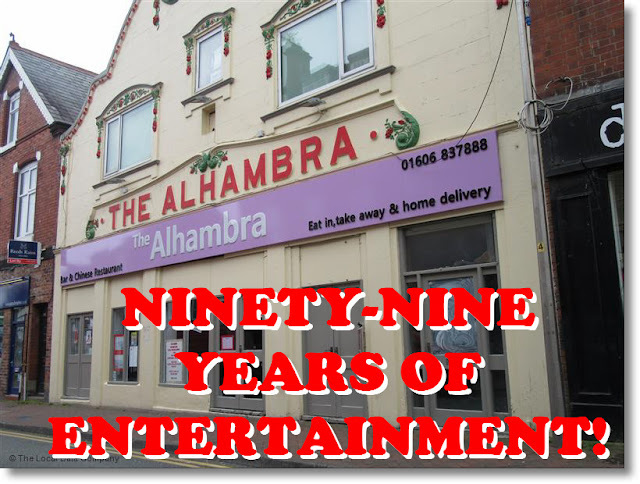 As we went in search of photos and information on The Alhambra it suddenly occurred to us that the building celebrates its hundredth birthday in 2020, which is just a year away. 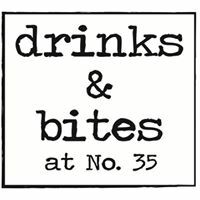 So this has turned into something more than just a little look at what was on at the pictures in July 1960 - though we'll still be doing that, of course. Many thanks to all those who have contributed to this article. If you have memories, mementos and photos of The Alhambra in any of its guises, it goes without saying that we'd love to see them - Ed. 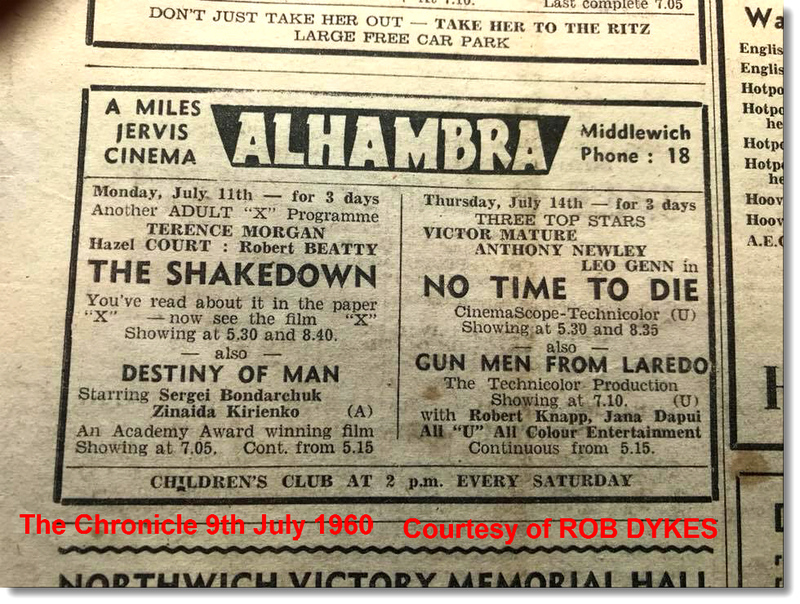 We're grateful to Rob Dykes who last Summer sent us this scan of an Alhambra Cinema ad from The Chronicle dated 9th July 1960. This was, you may be surprised to hear, a Saturday. Our local newspapers were very different publications in former days, much more akin to regional newspapers, and carried items of national and regional news as well as stories relevant to Chester and Mid-Cheshire in the case of The Chronicle series and Warrington and Mid-Cheshire when it came to the Guardian series of newspapers. And one of the most eagerly scanned sections of the newspaper in 1960 was the cinema listings. For the week commencing Monday 11th July, Middlewich's Alhambra was showing, as can be seen, The Shakedown starring Terence Morgan, and Destiny of a Man (wrongly printed here as Destiny of Man, which may well have given some people completely the wrong idea of the scope of the plot). 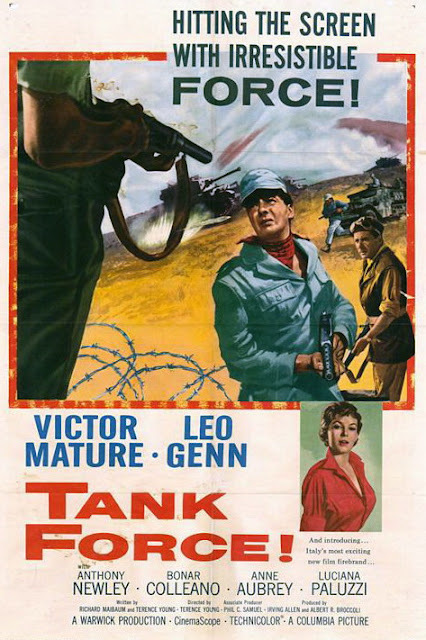 On Thursday the programme changed and audiences could see No Time To Die (aka Tank Force) in Cinemascope and Technicolor, supported by Gun Men From Laredo starring Robert Knapp and Jana Dupui, another Technicolor film. You'll note that the films shown during the second half of the week are 'U' certificate, reflecting the fact that family audiences were more likely to attend the cinema at the weekend. There appears to have been no Sunday performance at this time. 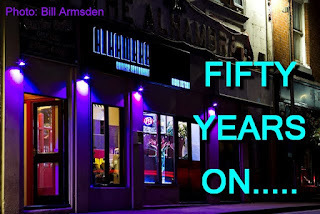 Before we take a look at the films showing in Middlewich all those years ago, here are a few observations on the advert itself and a look at other cinemas with a link to the Alhambra. 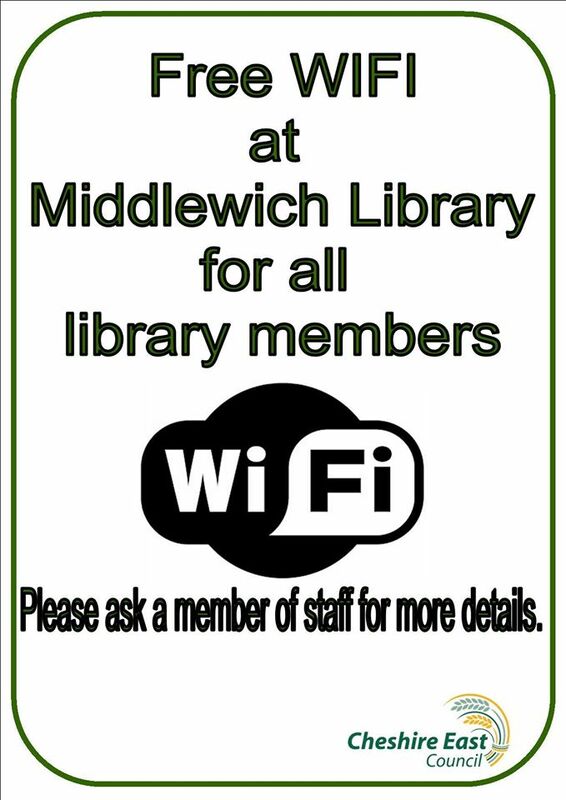 It seems odd that, as late as 1960, the telephone number should be Middlewich 18. 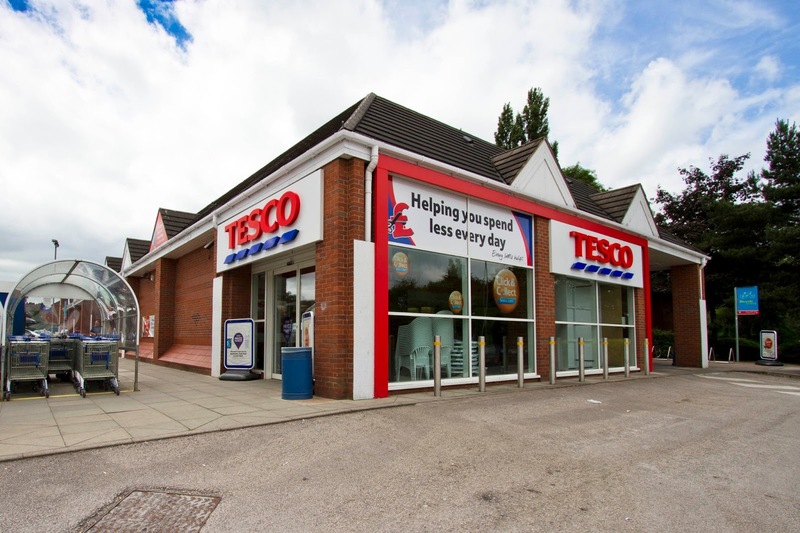 Perhaps the low number is accounted for by the fact that Middlewich's telephone exchange at the time was just across the road from the Alhambra, at the rear of the Post Office. The very first exchange, by the way, was in Brooks Lane and one of the first operators was my Auntie Cissie (Griffiths). The Wheelock Street premises are now a betting shop. 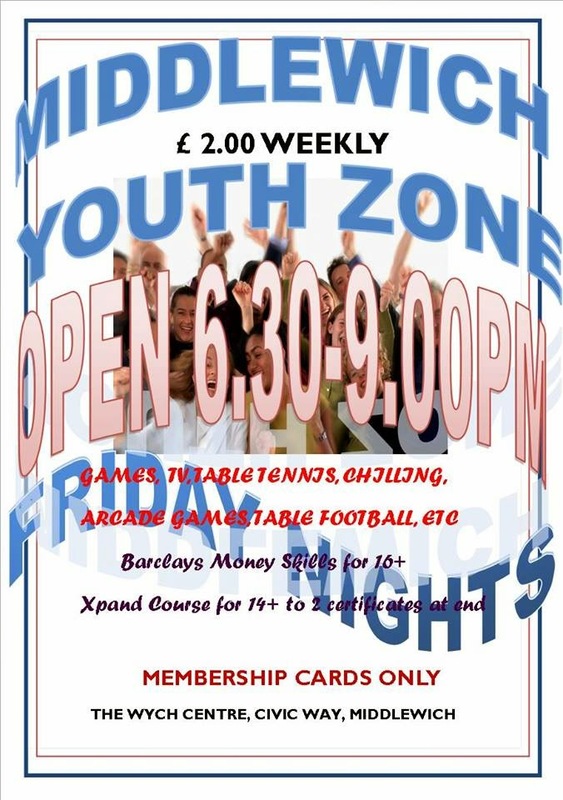 The advert also reminds parents of the existence of the 'Children's Club' at 2pm on Saturdays. 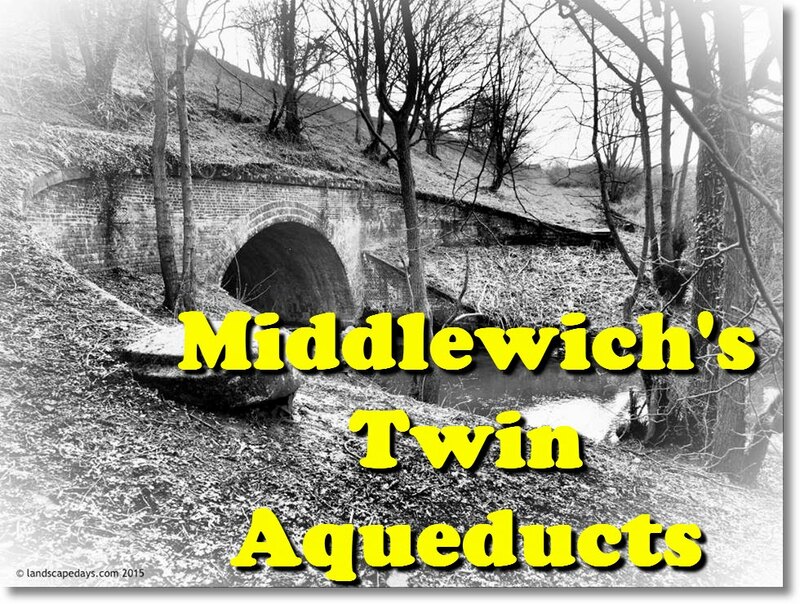 This lays to rest another long-running Middlewich mystery. I was always told by locals that 'there were never any children's matinees at the Alhambra'. And yet I can always vividly remember going there to see a matinee performance featuring the (to me) staggeringly unfunny Three Stooges. I remember the foot stamping, the jeering, the throwing of missiles and the huge amount of cheeky remarks hurled at the usher, known to one and all as 'Torchy'. The programmes are shown as being 'continuous from 5.15'. We're told that The Alhambra was 'A Miles Jervis Cinema'. This was a company based in West Bromwich which owned a few cinemas in the fifties and sixties, mostly in the Midlands. 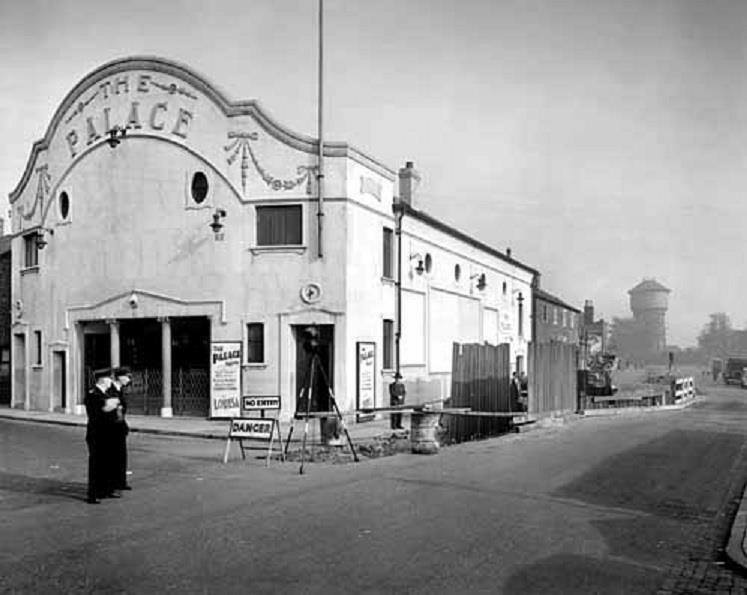 Miles Jervis Cinemas took over The Alhambra in 1960, the year we are looking at here, at the same time that they took over the Palace in Sandbach. The Palace was somewhat similar in appearance to The Alhambra but, sadly, has not survived, being demolished in 1985 after several years of disuse. The histories of The Palace and The Alhambra seem, to a certain extent, to be intertwined. The Alhambra was opened in 1920 and was originally owned and operated by Clement Whitehead. Sandbach Cinemas, who ran The Palace in that town, took over the Alhambra from 1930. Clement Whitehead also operated the Star Cinema in a building still very familiar today. Middlewich's first cinema, The Star, now the home to 'Triffic Togs' aka 'The Cabin'. The Star was, by later standards, rather primitive, with patrons seated on wooden benches and the projector on a platform behind them. There was no separate projection room. As the Alhambra opened in 1920 The Star can only have operated for a few years. Or were the two cinemas run concurrently for a time? Does anyone know? 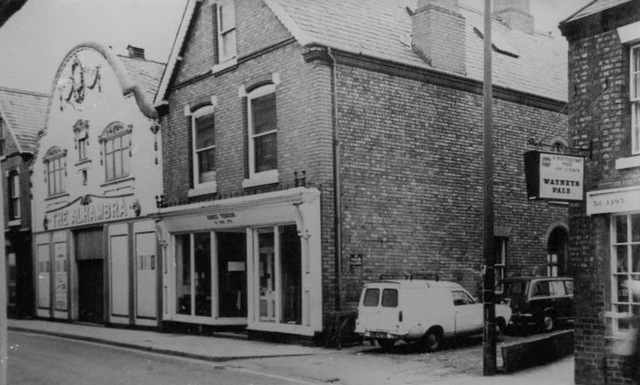 This building, before becoming the Middlewich institution it is today, also served time as an auction house and a car repair workshop. The bingo hall slightly later. 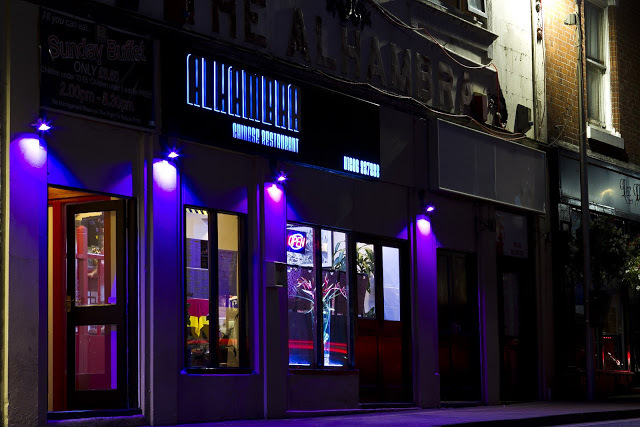 This is the closest we can get to a photo of The Alhambra in its cinema days. The building was altered relatively little for its new role and rumours persisted for many years that the projection equipment had been left in situ. 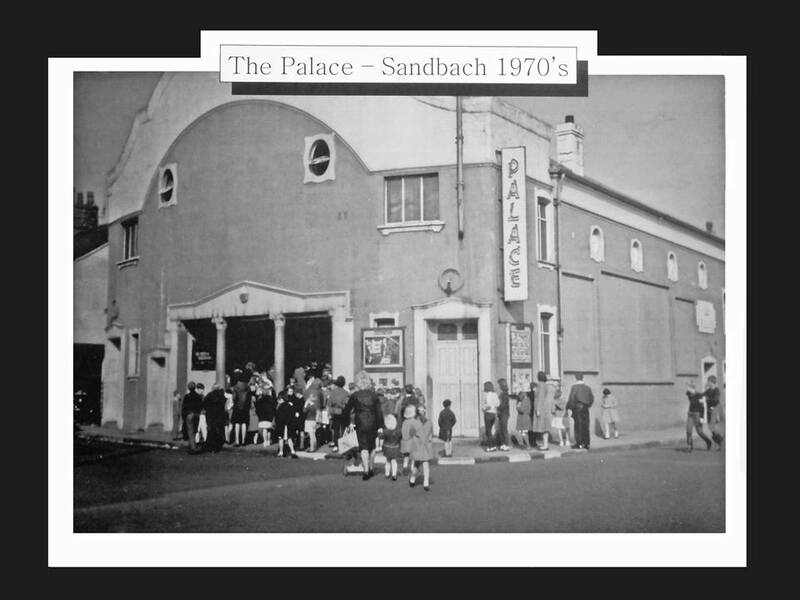 The proscenium arch was 22 feet wide and the cinema was fitted with a Western Electric sound system around 1930 when Sandbach Cinemas took it over. Incorporated into the elaborate scrolled decoration beneath the curved frontage is a large capital W which, presumably, stood for Whitehead. 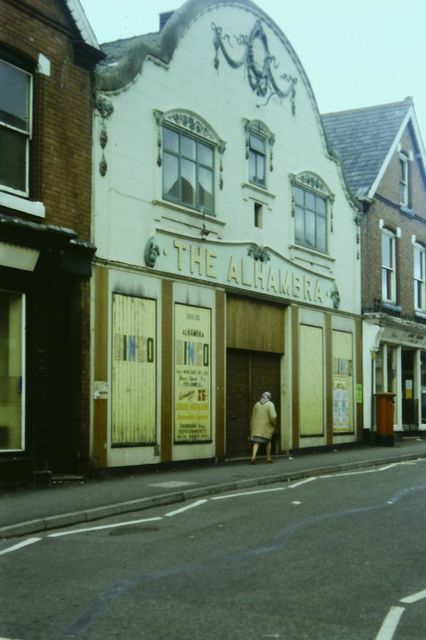 Here are some memories of The Alhambra from Colin Pierpoint, brother of Joan Pierpoint who was a well-known dance teacher in Middlewich for many years. 'I spent many hours in The Alhambra as a boy. We saw films like Oklahoma, High and Mighty (about flying), many Tarzan films, Errol Flynn swashbuckling, and Boris Karloff horror films. For the latter there was often a suitable noise made by someone in the audience at the back. I remember seeing The Fiend without a Face (1958 version) with a good mimic of the man who lost half his brain, from the audience. The projectionist sometimes put the reels out in the wrong order, which made the Tarzan plot confusing. Another peculiarity of the Middlewich Alhambra was that there were two ways into the auditorium with different prices. The cheaper seats were up a ramp from the ticket desk. If you paid more, the customer went up the stair to what you expected to be the circle. However, it came out at the same seating but further back! There were a lot of US American service men (and possibly women) in there during the second world war because there was an air base at nearby Byley. They were very annoyed to pay more for the same seats. Another feature of The Alhambra in the 1950s was Tommy Wilton. He was a socially disadvantaged man who they let in every evening free of charge. He sat in the front row. When he got very excited during car chases and cowboy fights, he would jump up and down in his seat. 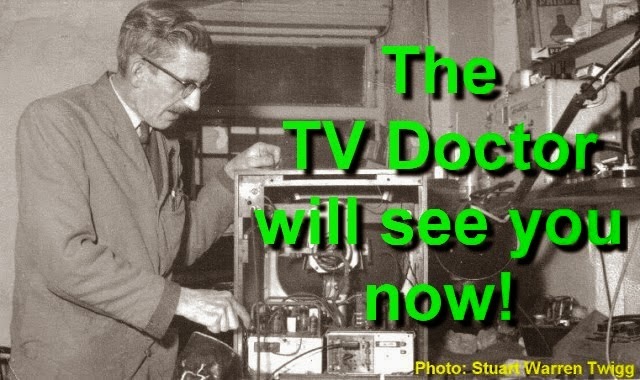 The programme was changed twice a week and Tommy attended every night, so when he already knew the plot he would stand up to tell the audience what happens next! When cinemascope arrived, both sides of the picture were projected over the wall and exit doors. Colin Pierpoint 8th January 2018. 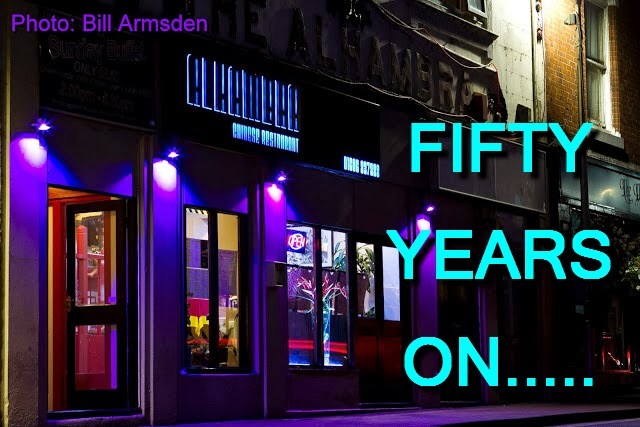 Richard Denton* says, 'The Alhambra was my introduction to the world of cinema. I loved the 'Allybarmy'. From Thunder Road and It Came From Beneath the Sea to Fess Parker in the Davy Crockett movies, and Brando in Mutiny On The Bounty. I would go at least once a week, and often twice. In those days 'Pearl & Dean' were 'Pearl, Dean and Younger'. Whatever happened to Younger? *Richard Denton is a member of the well-known Willing-Denton family, formerly of Middlewich Manor. Colin Pierpoint: Yes, I remember the 'Pearl, Dean and Younger' advertisements. Many had a shaky overprint which said 'Only five minutes from this cinema!' The ads were followed by a trailer for the next presentation. If the trailer was in colour, people were heard to say 'Colour!' out loud, because it was so unusual an occurrence. I remember going there in my early teens to see the Dracula horror movies. My friend and I would dash home from school, make sandwiches and a flask of tea and sit at the back terrified, more often than not the only two in the cinema at the early showing! 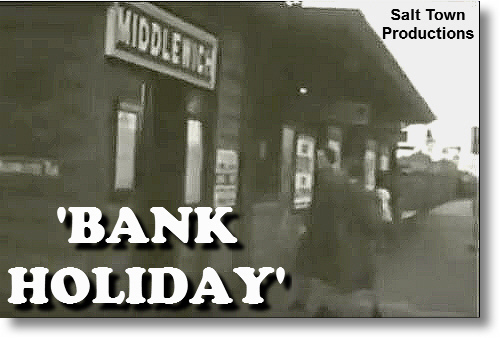 So what were the films showing in Middlewich that week in 1960 like? Let's take a look at them. After being released from prison, Augie Cortona sets up a blackmail operation, fronted by a model agency. 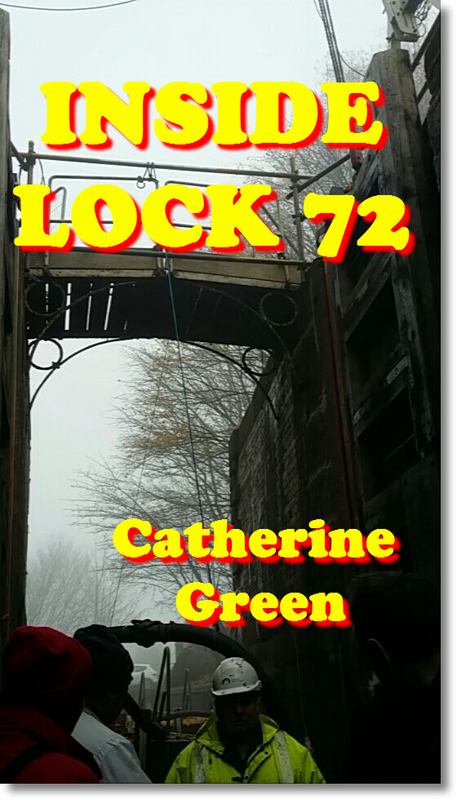 When the authorities get wind of his activities, they send in an undercover police woman, but when she is recognised, the police need to move in on the operation, before Cortona can take his revenge. 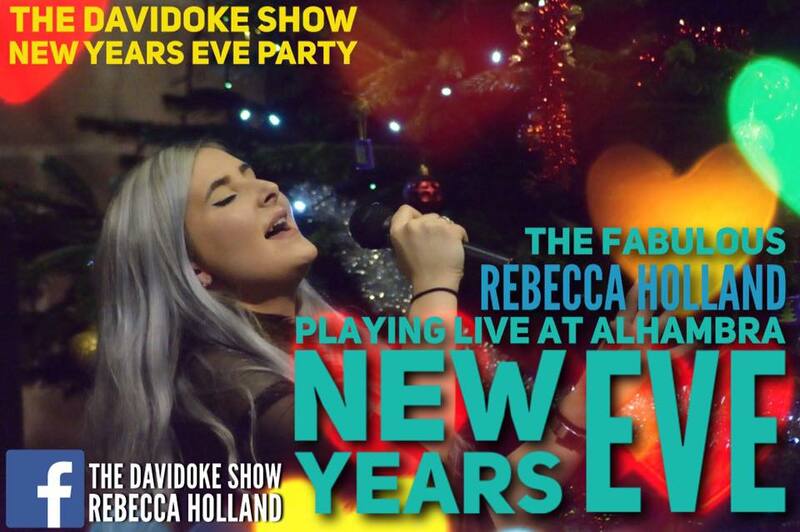 The poster alone must have been enough to bring the local Middlewich lads flocking to The Alhambra. And what, we wonder, did Tommy Wilton make of it? Hardly a bundle of laughs, by the sound of it. During WW2 in North Africa, an American sergeant serving with the British 8th Army is captured by the Germans but he hatches various plans of escape from the POW camp. Retitled No Time To Die in the UK. A British film, but made very much in the style of a Hollywood blockbuster. 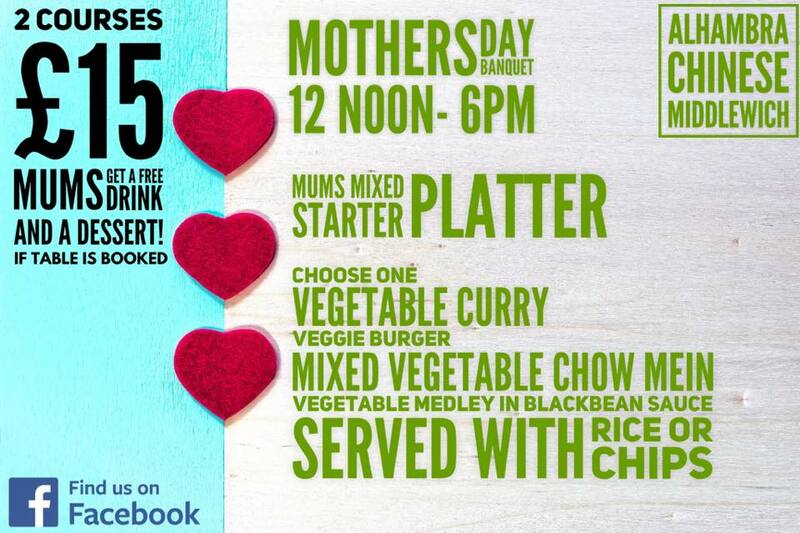 Middlewich will have loved it. 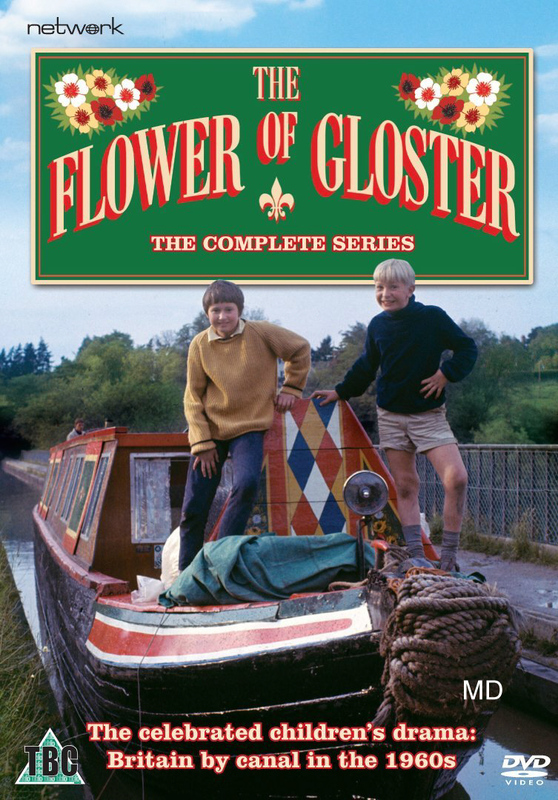 One of thousands of Western potboilers, a genre very popular at the time, both at the cinema and on TV. 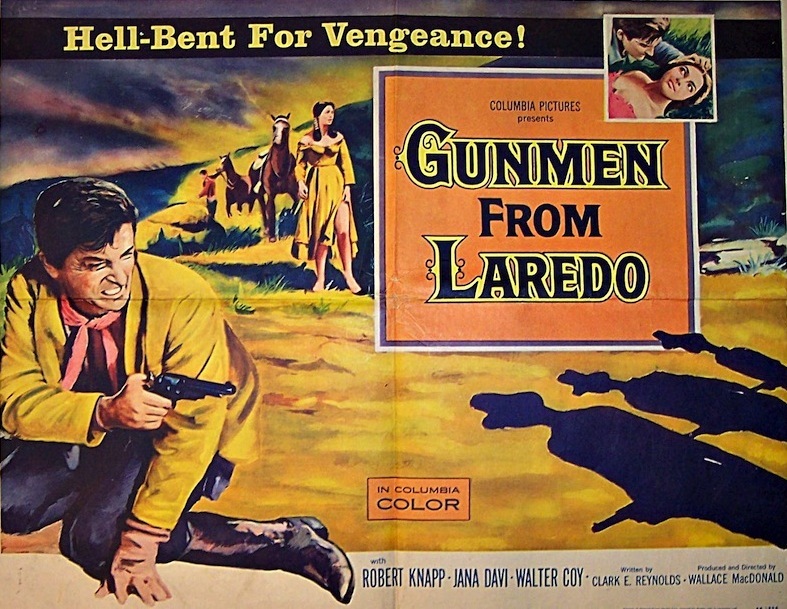 This one's about some Gunmen from Laredo. So there we are. Your entertainment for the week commencing Monday July 11th 1960. The Alhambra itself, as it was in 1937, features in a film showing the Middlewich Coronation celebrations of that year. 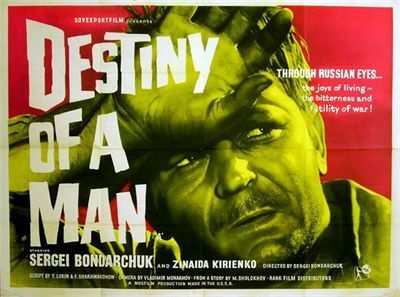 The film was made on 16mm film by the Mid-Cheshire Amateur Cinematography Society and was actually shown at the Alhambra shortly afterwards, on a projector placed halfway down the centre aisle. Imagine the excitement of some Middlewichians who were able to see themselves in the same cinema and on the same screen where they were used to seeing the Hollywood stars of the day. 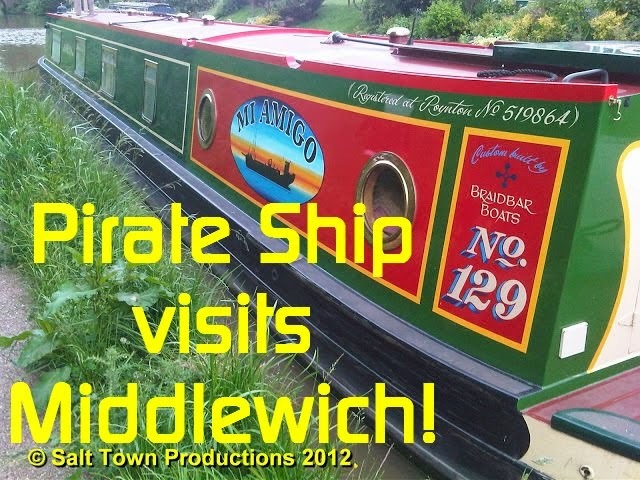 You can see the film, which also features many other familiar Middlewich scenes, by clicking on the link below. And here are some personal reminiscences of a trip to The Alhambra in 1963, on a day that has gone down in history. 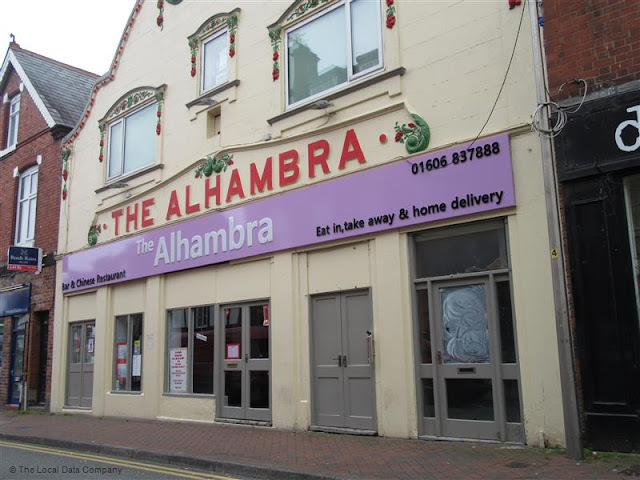 We don't have a date for the closure of The Alhambra as a cinema, but we know it was open as late as 1966. 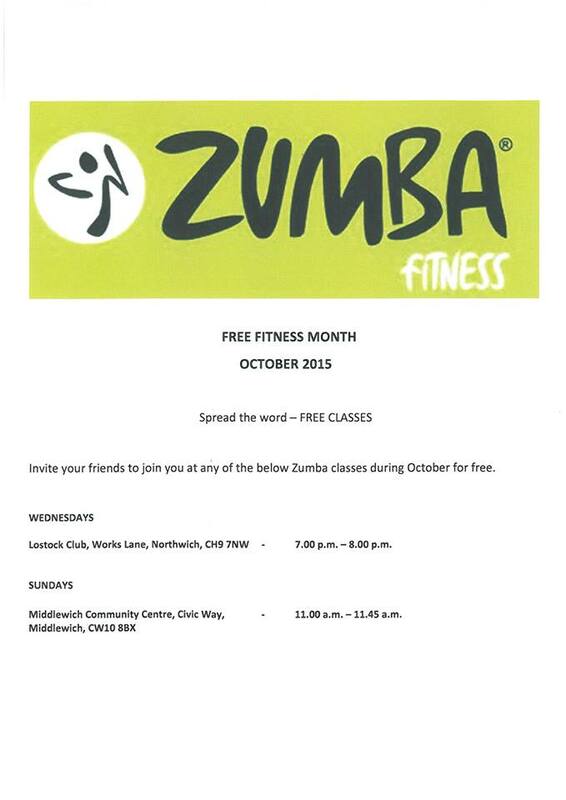 If anyone can supply us with the dates that the cinema closed and the bingo hall opened, we'd be very grateful. 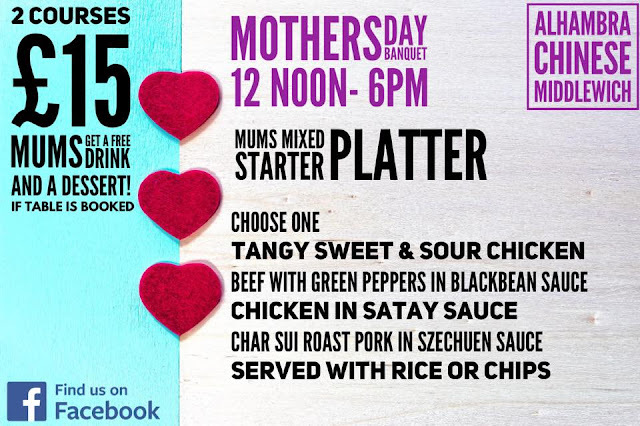 The building was used for several purposes over the intervening years between its cinema days and its re-purposing as a Chinese restaurant. As well as the bingo hall, there was also a snooker club and, for a brief and controversial period in the 1980s, an amusement arcade. 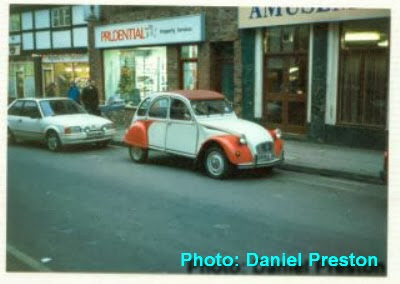 This 1988 photo by Daniel Preston gives us a tantalising glimpse of the frontage of the building when the amusement arcade was providing entertainment to youngsters in a pre-computer games era, and incurring the wrath of adults who considered it the root of all evil and the cause of all trouble in the town. There were regular calls for it to be closed down. Yet another change of sign for The Alhambra. This photo from the Local Data Company shows the restaurant during the period it was closed. It has since re-opened. The frontage has been cleaned, tidied and repainted and now looks much as it must have done in 1920. The Alhambra is a remarkable survivor. 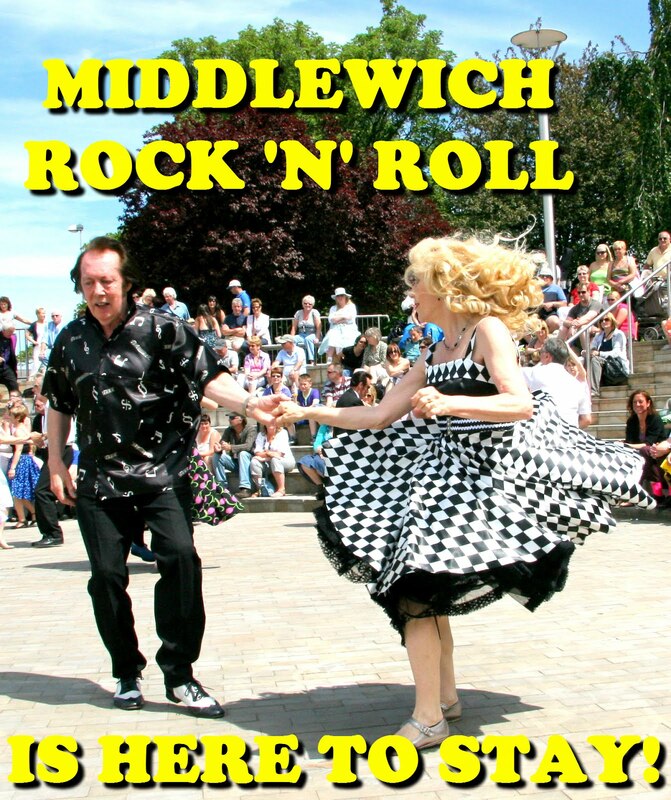 For nearly a hundred years it has served Middlewich as an entertainment venue and its current owner, David Cantona Lee is keen to bring all kinds of entertainment to this iconic Middlewich venue. One intriguing and very appropriate idea is the possibility of once again screening movies at The Alhambra. The introduction of lightweight, high-quality digital equipment has meant that this is now a real possibility, rather than the pipe-dream it once was. Cine-dining is becoming more and more popular all over the world and, who knows, Middlewich might become part of the movement. It would certainly be very fitting for the building's centenary. Many thanks for coming with us on this little trip into the Alhambra's past. 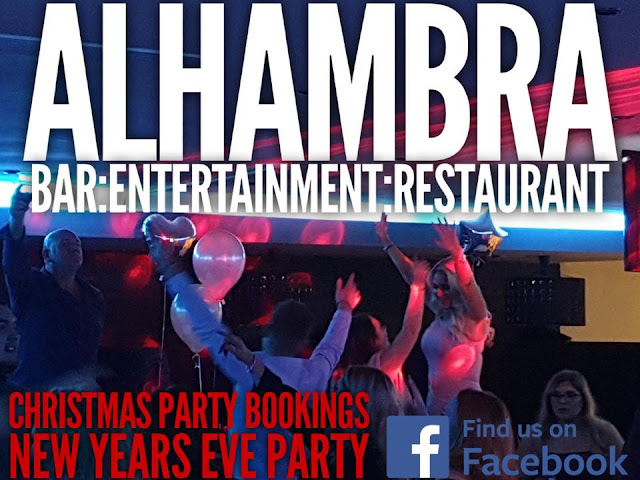 There is, of course, a lot more to tell and we just know that people will have a lot to tell us about their experiences of The Alhambra over the years. UPDATE - 29th MARCH 2019. 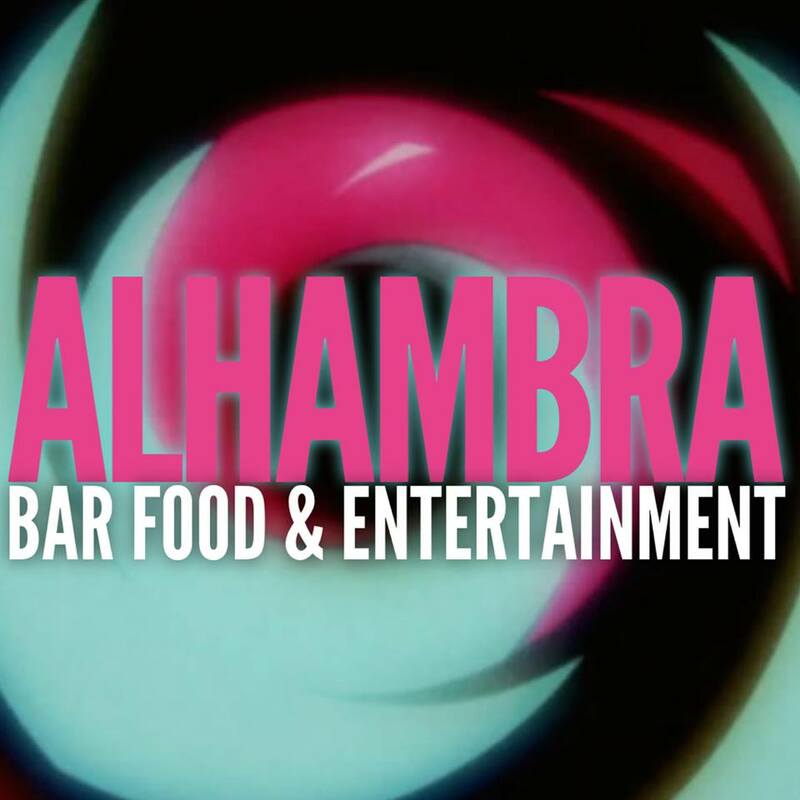 The Alhambra was reborn as a restaurant on the 29th March 1999. 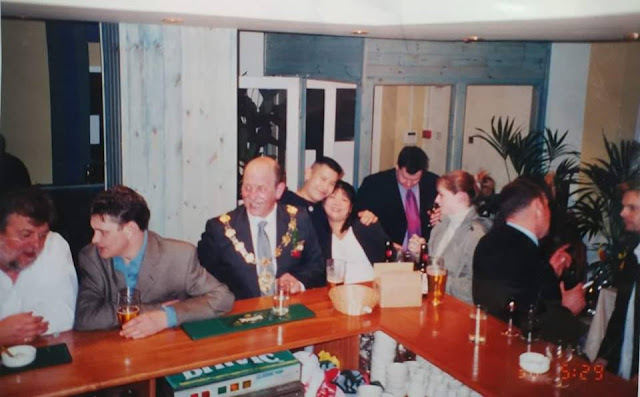 Here's a photo taken on the opening night and featuring well-known local residents including the then Mayor of Middlewich, Fred Johnson. Please don't hesitate to get in touch and help us put names to faces. 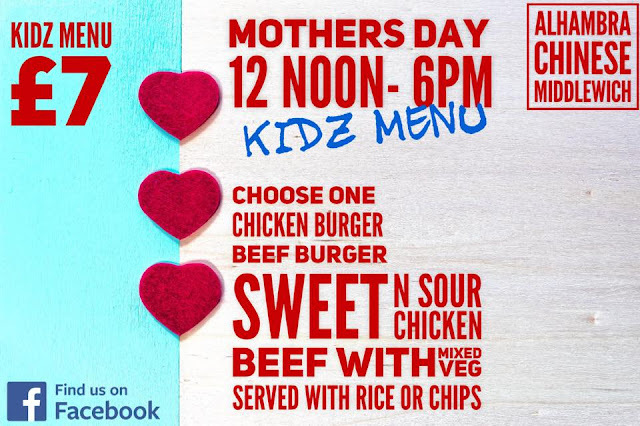 The Alhambra's twentieth anniversary as a restaurant coincided with the weekend of Mother's Day 2019. Labels: ALHAMBRA BINGO HALL, ALHAMBRA CHINESE RESTAURANT, ALHAMBRA CINEMA., ALHAMBRA THE, JOHNSON FRED., NINETY-NINE YEARS OF THE ALHAMBRA. Anyone love to walk and learn? 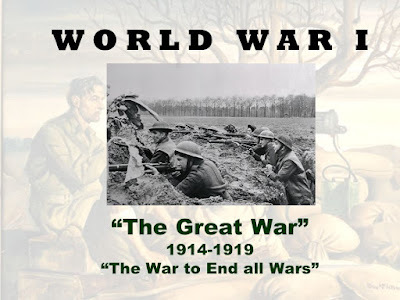 Looking for volunteers to help me develop a Great War Trail around the Town. Sat 30th March 10.30am, meet outside the Victoria building, good footwear would be a good idea, trail could be around 1.5 miles. I need to walk the route and talk about the different topics at certain points, but I need feedback, is the trail the right distance? Are the topics interesting, anything to put in or leave out? Need to give me 2 hours/2.5 hours to work it out. No point in proceeding to write the trail if it doesn’t work! Volunteers can learn about the history of the town during the great war but can also learn how the trails are put together. Labels: GREAT WAR TRAIL 2019, KIRWAN KERRY, PROPOSED GREAT WAR TRAIL.